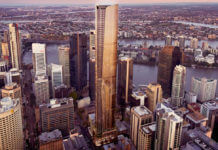 Luxury retailer Omega will be opening its first flagship store in Brisbane at 188 Edward Street in 2018, after committing to a two level tenancy totalling 282sqm. The five year lease will commence in October 2018 in line with the building’s significant upgrade and the Edward Street $11 million beautification. It is understood that Omega will be moving into the Hugo Boss tenancy which is situated on the corner of Edward and Elizabeth Streets, with Hugo Boss moving to another tenancy on the luxury retail strip. 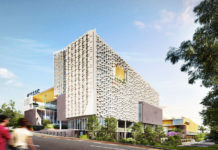 Sam Degn, Brisbane CBD retail leasing specialist at Colliers International who negotiated the lease off market on behalf of the owner, Conias Corporation, said that Omega had been looking to enter the Brisbane market over the last 18 months. 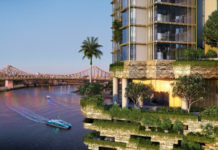 According to Ms Degn, Edward Street is one of Brisbane’s highly sought after, established luxury precincts which is likely to attract further attention from high end global brands once its redevelopment is completed in two years time. “Growth in the luxury goods category is driven by growth in high-income earners and high net worth individuals. The strength of the sector has also been buoyed by retailers improving their range of products and points-of-sale, and the emergence of Gen Y as a key consumer segment. 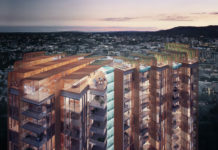 “The impending Edward Street ‘Luxury Runway’ project will be Brisbane’s premier high-end retail core and will transform Edward Street into a showcase street to compliment the new retail precinct that has emerged over the past few years. 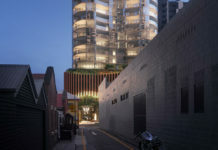 “Brisbane City Council’s plan is to widen foothpaths, reduce the road from four to three lanes, and carry out beautification work from Queen Street to Charlotte Street that will include tree planting, stylised lighting and seating,” said Ms Degn.